The prophets of old were told by God to confront evil, and also the sin and rebellion of His people. Jesus also confronted evil and sin. Jesus was harsh in His confrontation with those who came against him with a self-righteous attitude. To the hurting sinner, however, Jesus was gracious and gentle in His rebuke. To these, Jesus offered love, understanding, comfort, wisdom and hope. He restored them to right living in a spirit of gentleness. (see Galatians 6:1) Jesus didn't ignore sin, He dealt with it just as His holy Heavenly Father dealt with sin in His people. Jesus graciously confronted Peter in his denial of Him. There was no condemnation or judgment in His words just His statement of truth. Jesus who is all-knowing because He is God, knew that Peter would deny Him three times. Jesus took on flesh so He could understand the weakness of flesh. Jesus was a holy spiritual being before He came to earth who only understood the Father and the power of the Holy Spirit. All He knew was holiness and Divine power. He couldn't relate to the weakness of flesh. The Godhead understands the weakness of flesh because of Jesus who took on flesh and had the same temptations, enemies, false truth, etc. as those who follow Him do. With the Samaritan woman at the well who was living a sinful life, Jesus also dealt with her in love, compassion and grace. He drew a confession out of her and then offered her “living water”--the Living Word anointed by the Living Holy Spirit. He didn't judge or condemn her. He confronted the woman caught in adultery with grace and love telling her to “go and sin no more.” Again there was no condemnation or judgment in His words. She must hear His Word and do it willingly. Jesus didn't come the first time to condemn but to save lost sinners. To the self-righteous and arrogant, however, He uncovered their heart attitude not so graciously. Jesus knew He was confronting the devil who was working through those who were working against Him. Their pride, arrogance and self-righteousness opened the door for the devil to do his dirty work. Jesus is not impressed with ritual and works as the Law required. He is concerned with the heart. He used the Law to paint a picture of Jesus and to also show His people that they could not live up to the standards of the Law. Hence they would need a Savior who could! The Word of God is also both confronting and comforting! It reveals (confronts) our fleshly, self-centered ways which are most times tough for us to swallow. It also comforts us with the blessed assurance of God's unfailing grace, love and faithfulness as He reveals Himself to us and challenges us to become changed, faithful and committed followers of Christ. 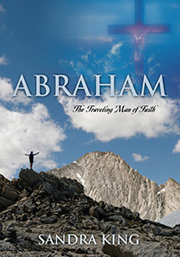 Elijah has confronted God's people with their double-mindedness telling them to choose who they will serve – God or Baal. Elijah will now confront Baal and the false prophets on Mount Carmel. Before the Israelites entered the Promised Land, God told them not to worship the Canaanite gods. (Deuteronomy 6:13-15) In the weakness of their flesh, they did it anyway. The worship of Baal was at its peak during the reign of King Ahab and Jezebel. God will work through the boldness and courage of His prophet Elijah to reveal the lack of power and voice of Baal, and show God's power and might over all. The Pharisees accused Jesus of casting out demons by Beelzebub in Matthew 12:24, In Mark 3:22, they accused Jesus of being possessed by Beelzebub because they said he was casting out demons by the prince of demons. Beelzebub is from the word “Baal.” Beelzebub is the “lord of the flies” and also known as “lord of the dung.” In other words, the lord of filth! These Pharisees attributed the power of holy Jesus to the false god – Baal -- who represents Satan. Jesus had just healed a blind, mute man who was possessed with demons, and they were accusing him of doing something wrong! Jesus responded by saying, “Every kingdom divided against itself will be ruined, and every city or household divided against itself will not stand. If Satan drives out Satan, he is divided against himself. How then can his kingdom stand? Matthew 12:25-26 This is the very reason Jesus stressed unity among His followers. If we are divided, Satan is the one who benefits because the power of God in Christ’s followers is weakened by division be it in Truth or Spirit. There is power in unity! Jesus continued by saying, “Or again, how can anyone enter a strong man's house and carry off his possessions unless he first binds up the strongman?” v29 Elijah and the power of God are about to bind up the false god on Mount Carmel and bring God's people back to worshiping the True God alone. Worshiping false gods is essentially worshiping demons. Who is Asherah? She is the chief female deity of ancient Syria, Phoenicia and Canaan. She is considered the moon goddess and thus the reason she is often coupled with Baal, the sun god. The Phoenicians called her Astarte; the Assyrians called her Ishtar and the Philistines had a temple of Asherah. Asherah was represented by a limbless tree stuck into the ground that was carved into a symbolic representation of her. A limbless tree with no roots or branches would have no life! Because trees were used to honor her, her name means “groves.” A grove of lifeless trees! The Asherah prophets ate at table with Jezebel. In other words, they had a close relationship with Jezebel and ate their false truth together. Jezebel represents the false, harlot bride as does Asherah. God told Gideon to cut down the Asherah pole standing next to the altar of Baal and use it to build a fire for the burnt sacrifice to God for atonement. God used it for something good! God told the Israelites not to “set up any wooden Asherah pole beside the altar you build to the Lord your God...” Deuteronomy 16:21 God doesn’t share His glory and sovereignty with anyone or anything! God wanted no false images or lifelessness near His temple. God does not want the holy mixed with the profane. Worship of Asherah involved ritual prostitution, divination and fortune-telling. God's people had surely lost their way! Their leadership had led them astray for several years. But God has not forgotten them and will go to any extent to bring them back to Him. This is God’s grace toward those He loves—whether Jew or Gentile, slave or free, male or female. The wooden cross of Jesus is the eternal sacrifice for atonement. It need not be repeated every year as the Israelites had to do with the burnt offering for atonement according to the Law. Jesus said, “It is finished!” What the devil meant for evil at the cross, God turned around for good—the salvation of all.